Our friendly and professional manager will gladly assist you during office hours. 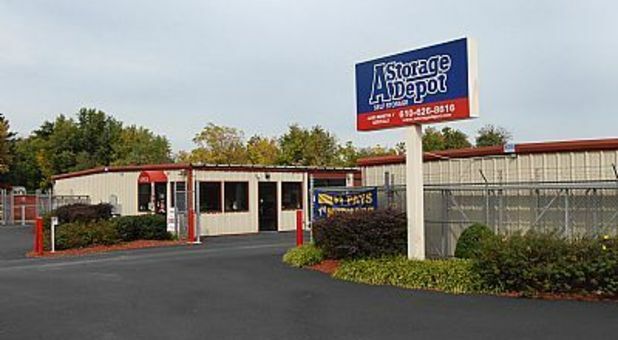 A Storage Depot serves all of Primos and other surrounding areas including Prospect Park, Upper Darby, Lansdowne, Springfield, Delco, Clifton, and Folcroft. Visit us today for the best self storage service in Delaware County! A Storage Depot in Primos, Pennsylvania is open seven days a week and has a variety of storage units to fit any need. Sizes vary from 5'x5' mini units to 10'x40' small warehouse spaces. Our facility also offers units with climate control to protect your most precious items, and outdoor space is available for vehicle parking - including boat and RV storage. At A Storage Depot, we try to make storage as convenient as possible. Don’t drive all over town to get ready for your move-in. You can purchase moving and packing supplies directly from our storage facility. You can even rent a truck from us! Additionally, many ground-level spaces have drive-up access so you don’t have to carry your heavy items very far. Rent your unit today - we’re eager to help you get started with the perfect storage unit for you!